Let’s all cool down. The (ridiculously weak crop of) top-tier free agents may be long gone, and the Eagles may have done little to drastically reshape the team. But to worry that nothing will get done is silly. There’s still plenty of time. The NFL draft is one month away. Lots to do between now and then. The NFL Annual meeting over the next few days brings together a lot of coaches, GMs. There’ll be lots of chatter there and it will kick off conversation between teams for weeks. 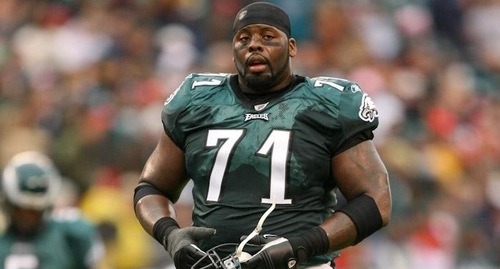 Remember — the big trade to get Jason Peters (after long talks) didn’t finally happen until a week before the draft. In fact, as we get closer, the more drafts boards solidify, the more teams call each other, and the more likely something is to happen on the quarterback front. It’s, it’s active. You know, I think I said this last time we were here. Every day we come in trying to execute something and sometimes some things take longer than others but, um, I do not think this will be the last move here, that we make here, before the draft. That sounds as close to a guarantee as we’re going to get. Stay tuned. Tagged with Philadelphia Eagles, Trade Market, Talks, NFL Annual Meeting, 2010 NFL Draft, Howie Roseman, Jason Peters, Rumors, Free Agents. March 21, 2010 by Brian Solomon.